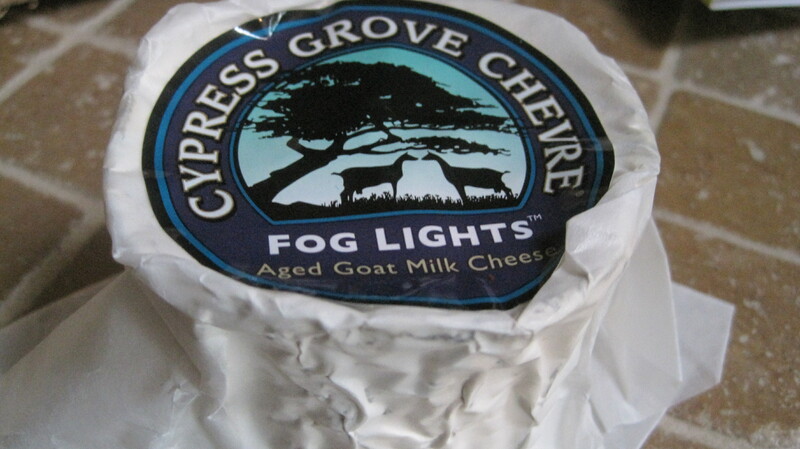 This cheese was really smokey and flavorful. It only took a little bit of cheese to get the flavor. 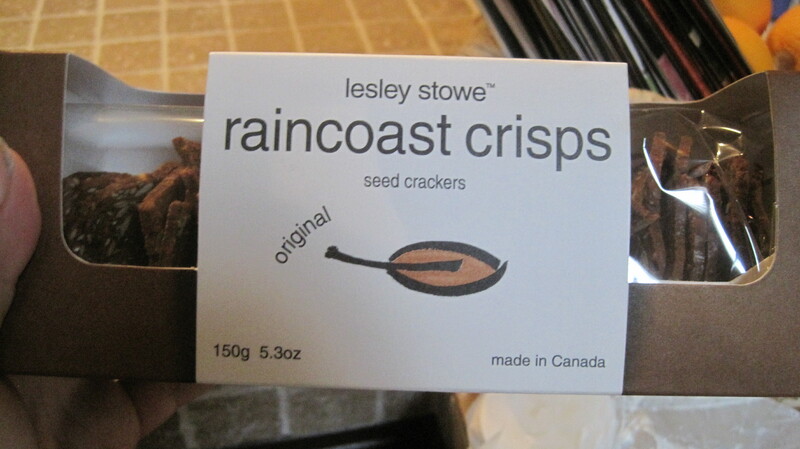 It was really good on these nutritious crackers. With my mom were always pretty healthy. 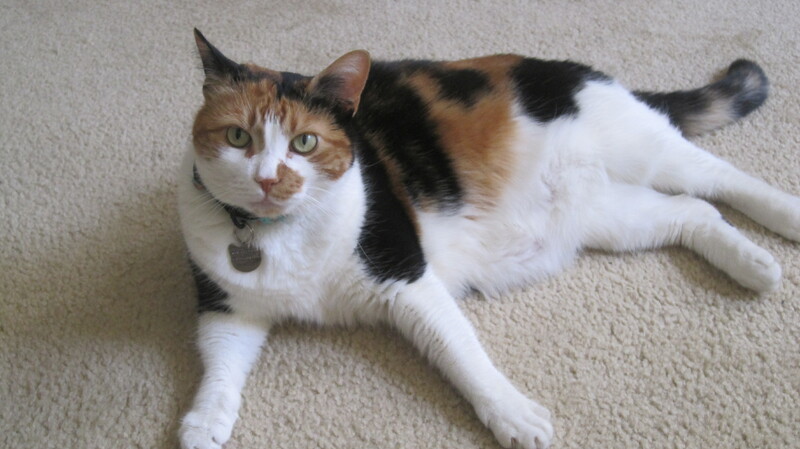 She is one of my healthy lifestyle role models after all! 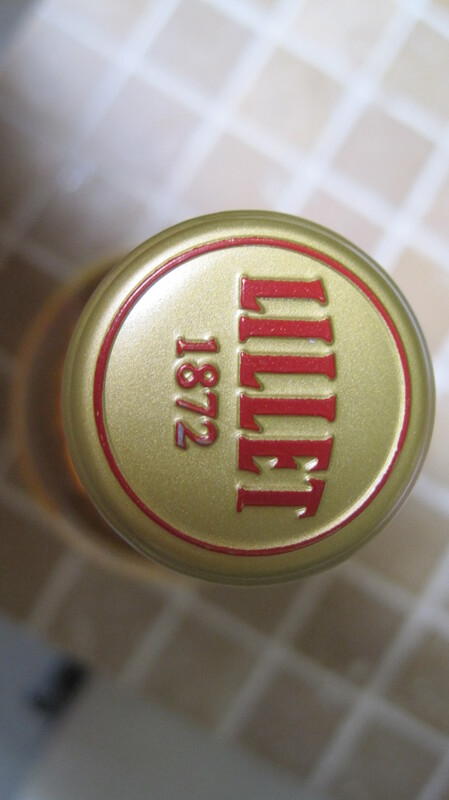 Question of the Day: What is your favorite wine? 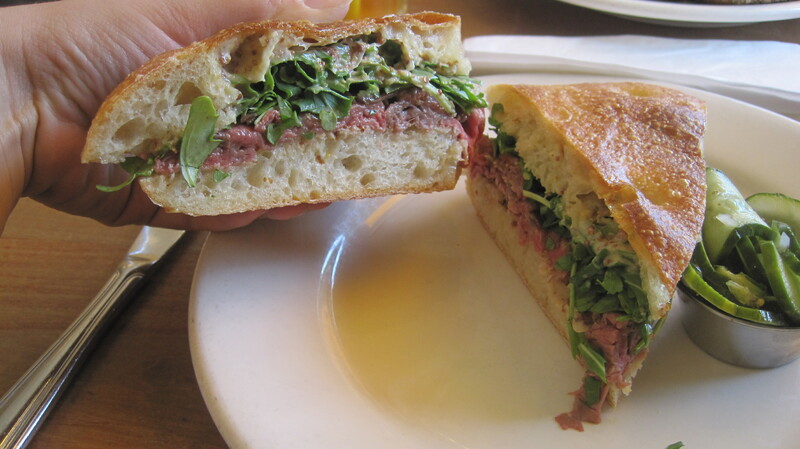 I have a new favorite spot in LA, Clementine. I have been wanting to try Clementine for a while but its just far enough away to be out of walking distance. When my mom came for spring break we tried it, twice because it was so good! On the way home from Palm Desert my mom and I stopped by for breakfast. We woke up really early and had breakfast then, so by 10 am we were starving but they were still serving breakfast. Both of us ordered a quiche because quiche is always so good and a compromise between lunch and breakfast. 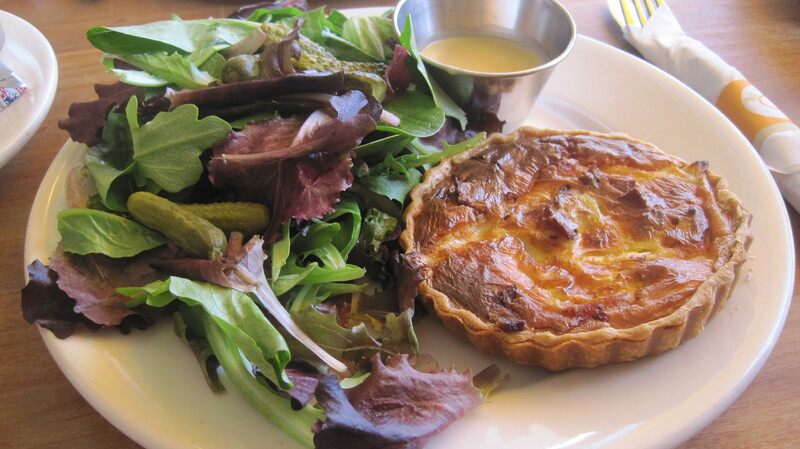 I had the bacon and leek quiche with a side salad. It was very good. 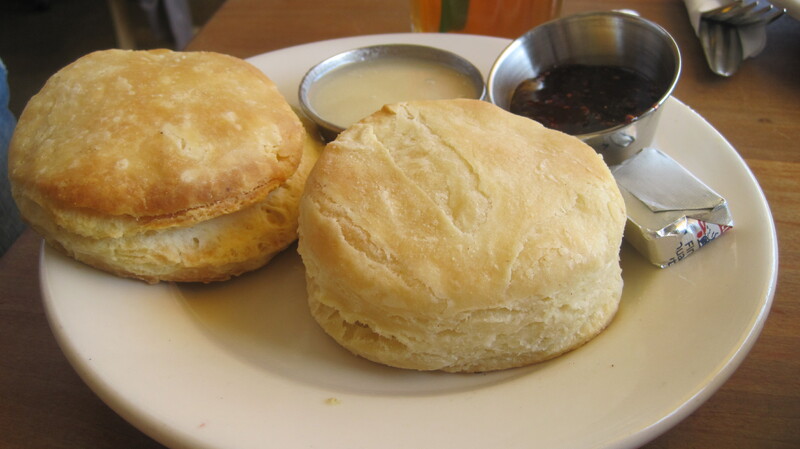 I also had an ice tea and we ordered hot buttermilk bisects. Breakfast this AM sure was a treat! 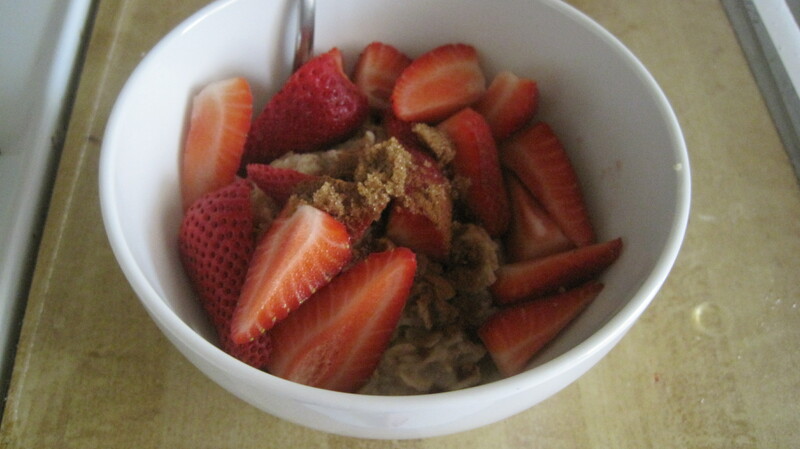 Fresh strawberries, cinnamon, and brown sugar over oatmeal. Delish! Its been a long relaxing spring break. 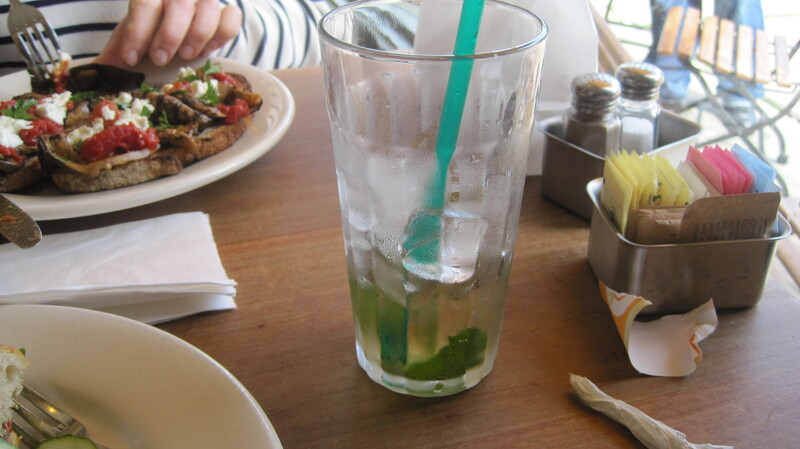 I ended up inadvertently detoxing from my iphone and blogging this week. I left my charger in LA and the internet reception in Palm Desert was bad. It wouldn’t load the whole site and I filed one post but it took forever so instead of stressing about it I decided to put my posts on hold. That doesn’t mean that I didn’t document my food consumption so get ready for lots of posts! While in Palm Desert I did do a lot of shopping! 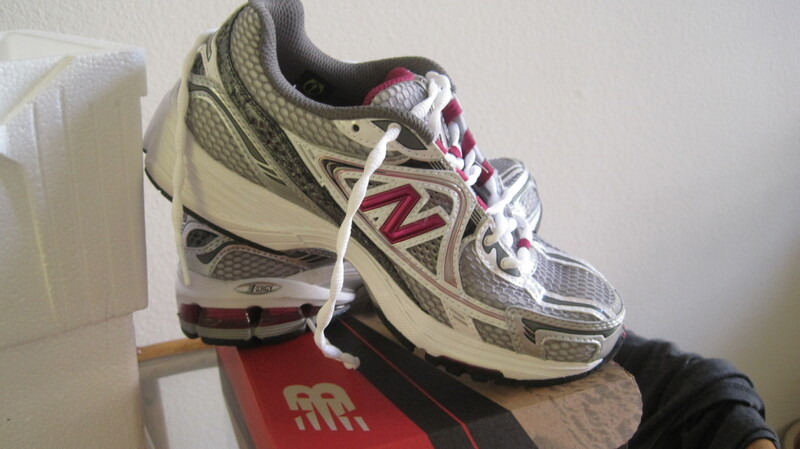 I even got brand new running shoes. Yes, I’m a 22 year old graduate student that likes to come home and sip an aperitif after a long day at school. Is there anything wrong with that? 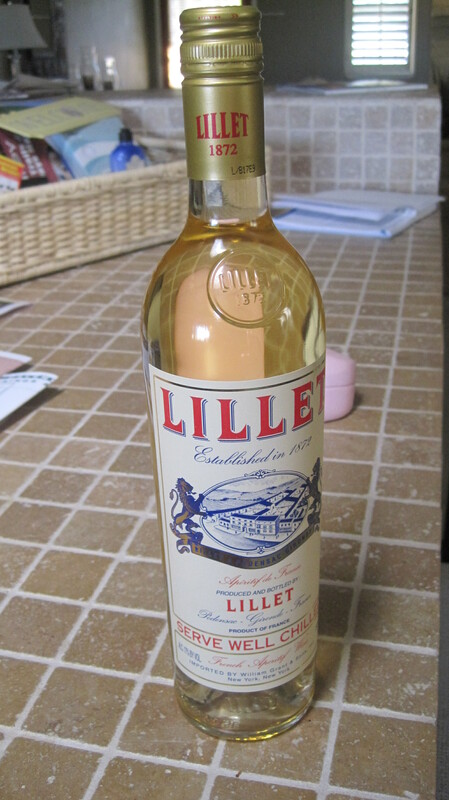 Lillet Blanc is a wine and citrus liqueur. Good in a cocktail or on its own but always served with a twist. 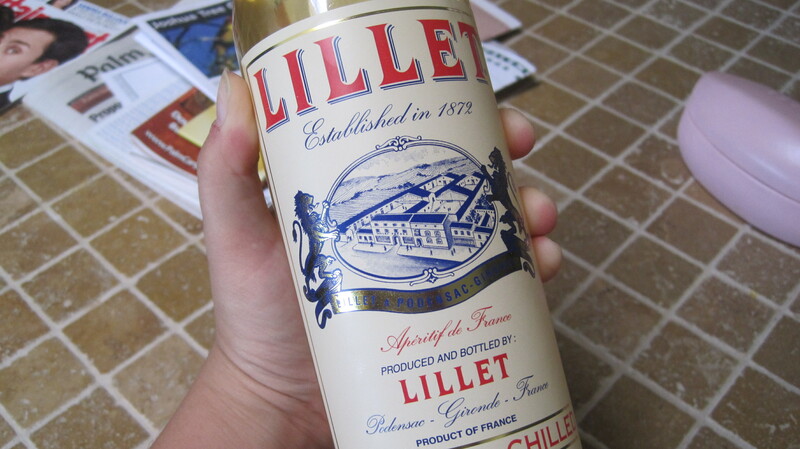 Also was featured in James Bond novels as part of the “Vesper” Martini. 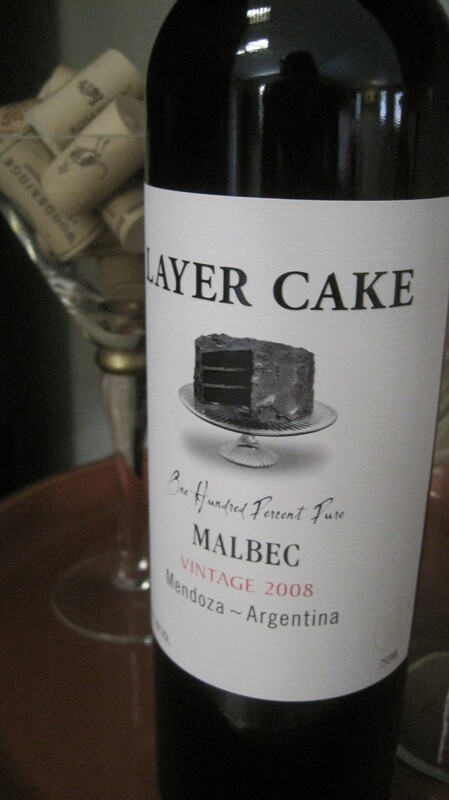 I have never found it in a super market but Jensen’s Fine Foods in Palm Springs had it. 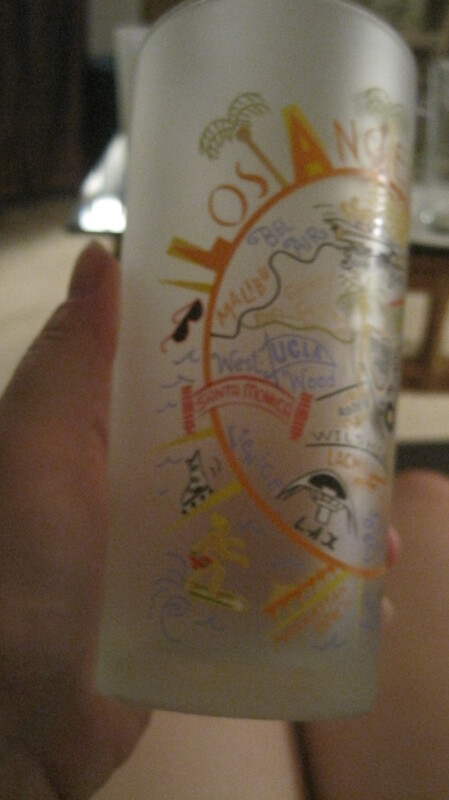 My Mom even bought me the bottle! 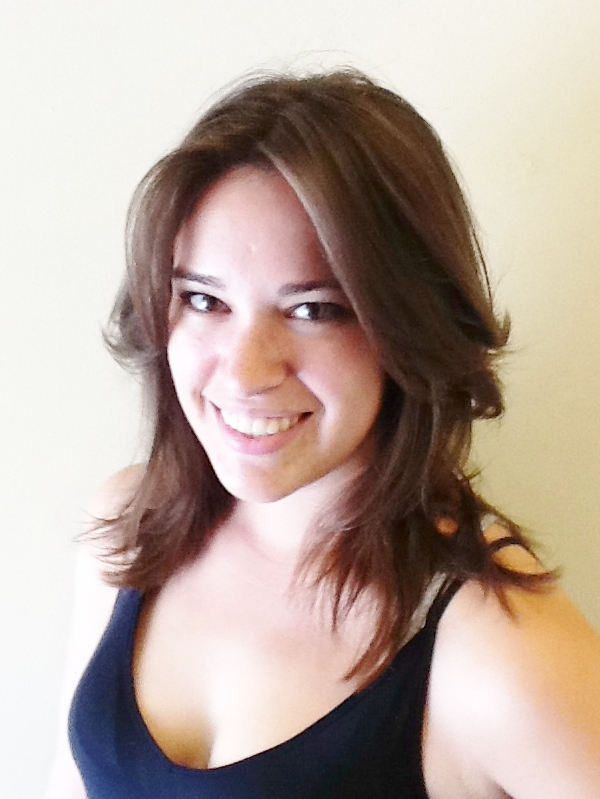 Katherine FTW! 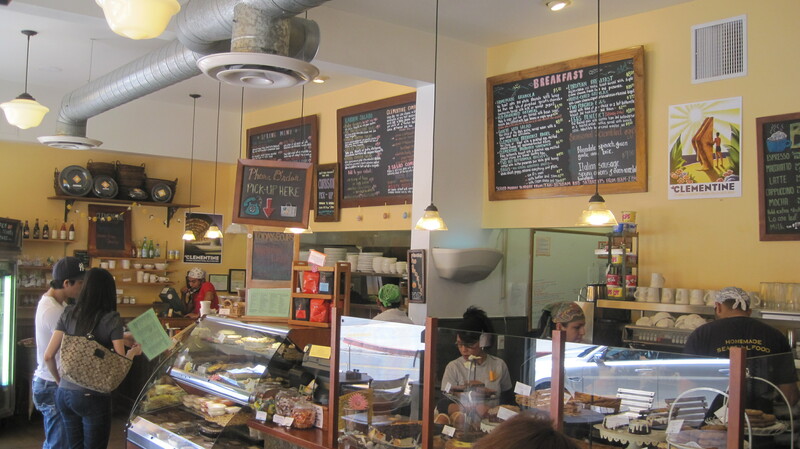 No UCLA 1L’s, not that Susie Cakes, the Susie Cake Bakery on San Vicente in Brentwood! 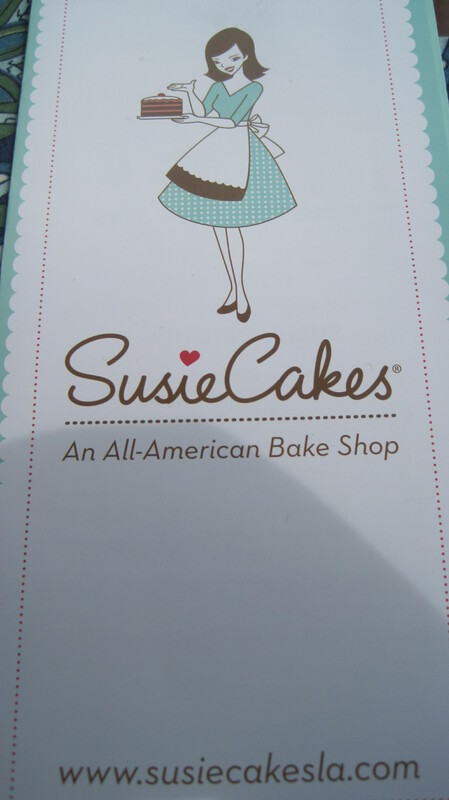 I had heard of Susie Cakes several times since I have moved to LA. It isn’t all that far from my apartment and after the Fall graded memo featuring Susie Cakes – our protagonist and manager who is stiffed in her movie star brothers will (we suspect the Nanny of influencing the estate) I knew it was only a matter of time before stopping in for some cupcakes. 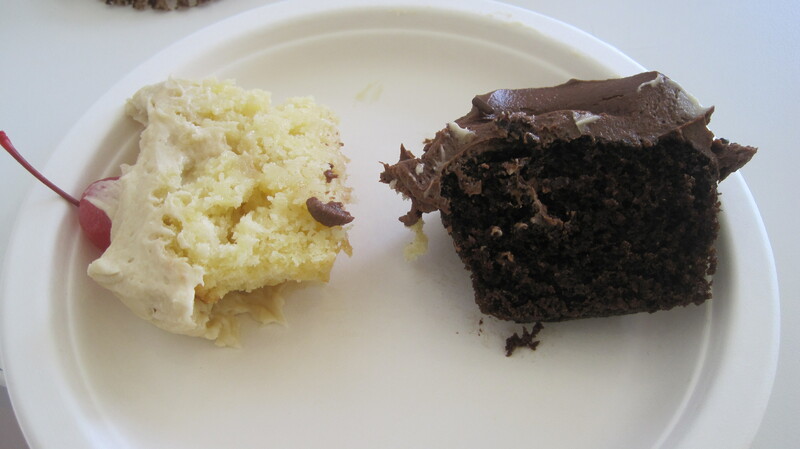 After much agonizing we decided to try the special cupcake, which was pineapple upside down cake, and the mocha. 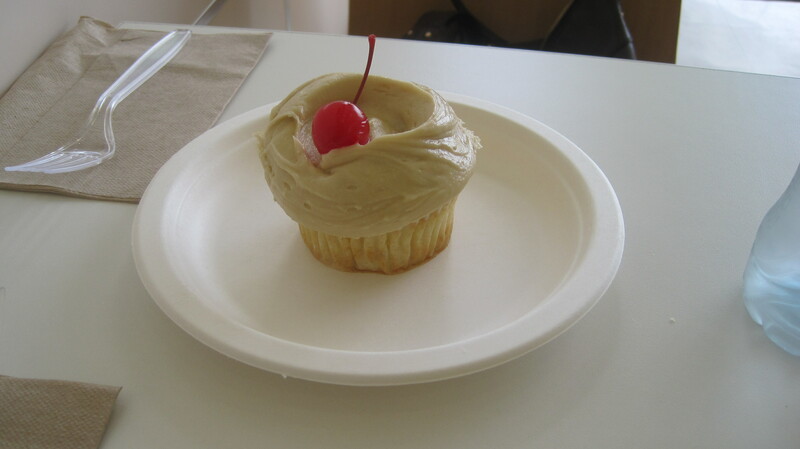 The Pineapple Upside Down Cake had yellow cake with the pineapple folded into the batter and a brown sugar butter cream frosting and a maraschino cherry. Delish! I love that the pineapple was in the batter. It made the cake super moist and almost an undercooked taste but in a good way. 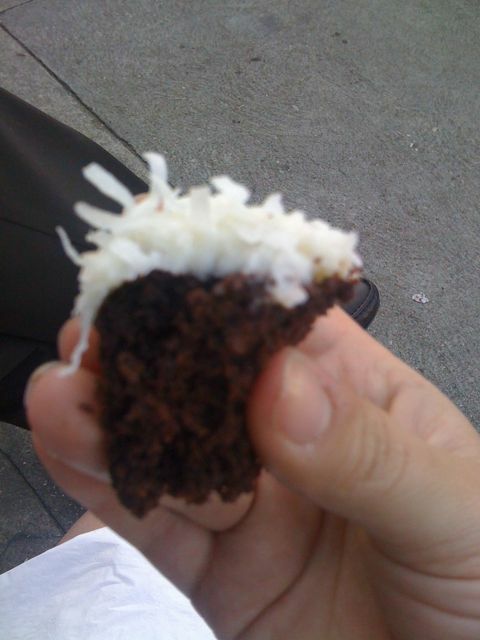 The frosting was the highlight. 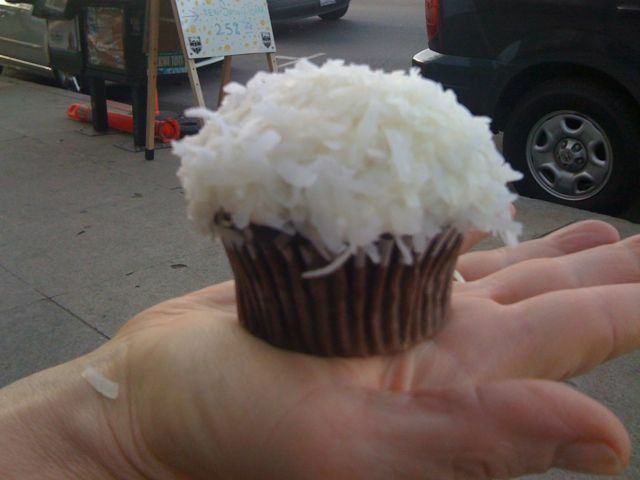 There was a light brown sugar flavor but it wasn’t too sugary, which I think you could easily run the risk of doing. The mocha was pure bliss! Very chocolaty and coco-ey (ok that’s not a word but it should be). Just perfect, rich, and totally delicious. There are no words! 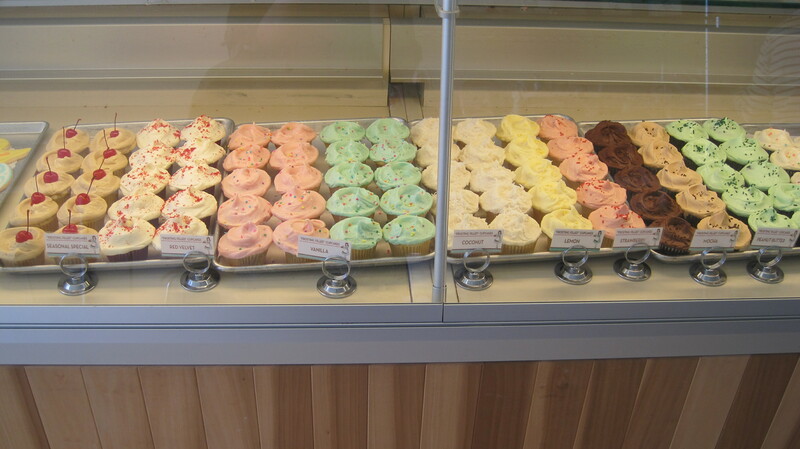 Overall these cupcakes were distinctive from others I’ve tried at Joan’s, Sprinkles, and Sweet. The cake was cakier but it wasn’t dry. 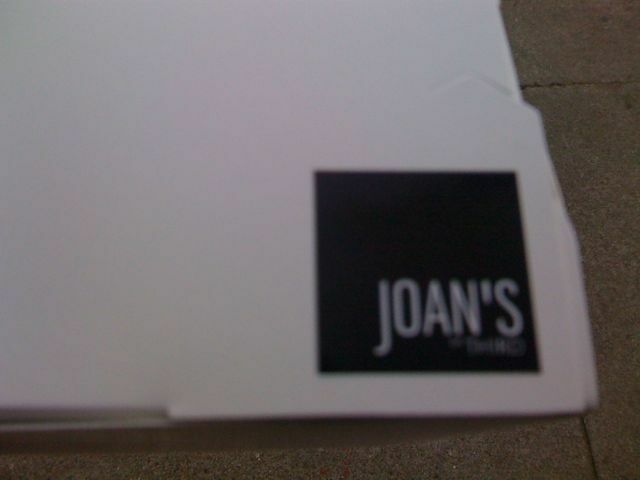 It wasn’t as light as the cupcakes at Joan’s, but it was very flavorful. 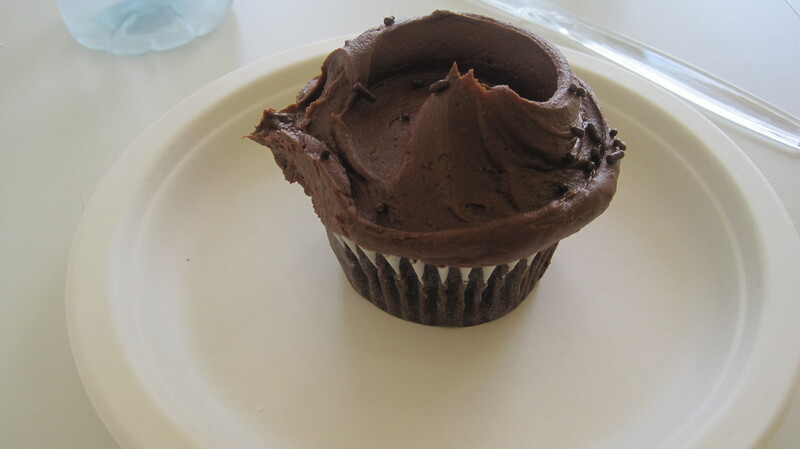 In addition, the frosting was some of the best that I’ve had in LA. Next time I go back I’m going to have a red velvet. I hope it’s soon! So while my Mom and I were shopping today on Montana we popped into a store called “The Quilted Monkey”. 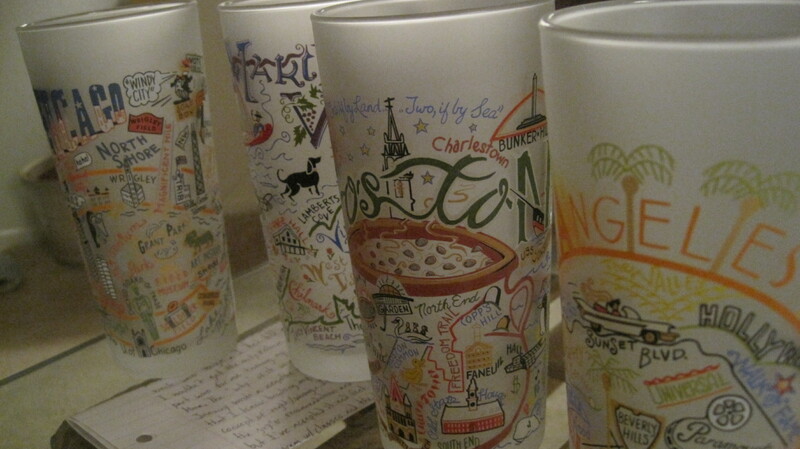 The sell these glasses and pillows I’ve seen before by catstudio with cities and states on them. 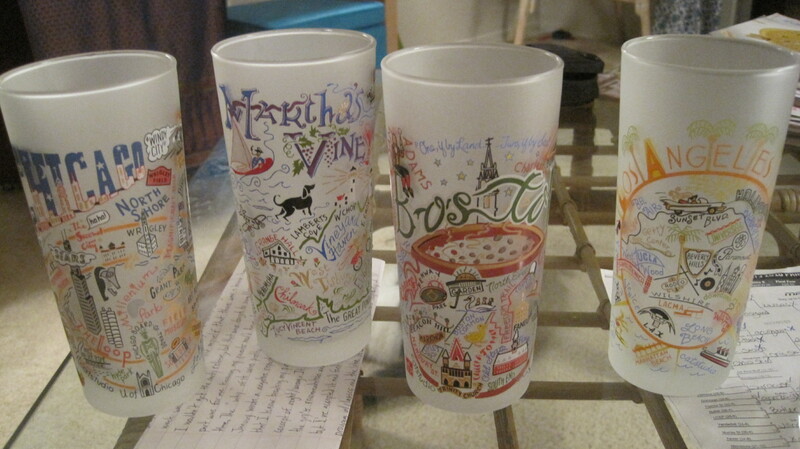 I got one for every city I’ve lived in AND Martha’s Vineyard (which I have visited many times over the years). 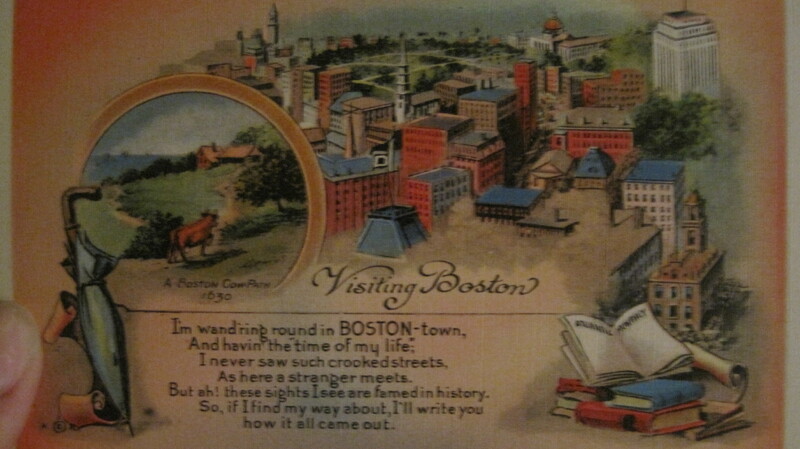 They are in order that I lived in or visited: Chicago, Martha’s Vineyard, Boston, and LA. 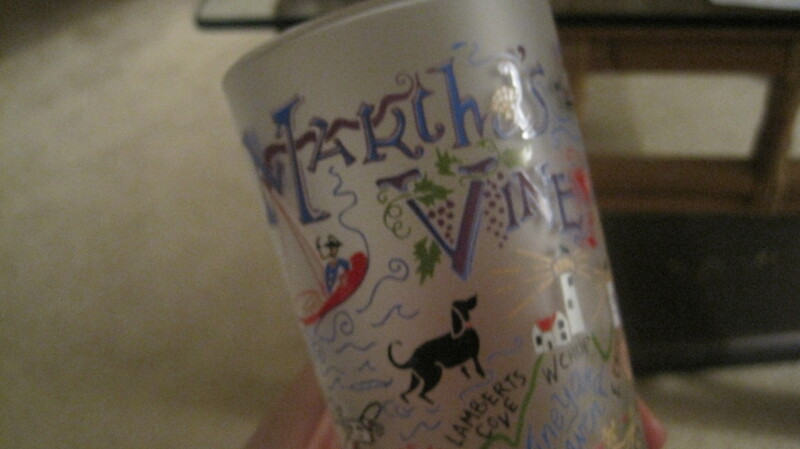 Little known fact: besides Logan airport, I actually went to and visited in Martha’s Vineyard before I lived in Boston! 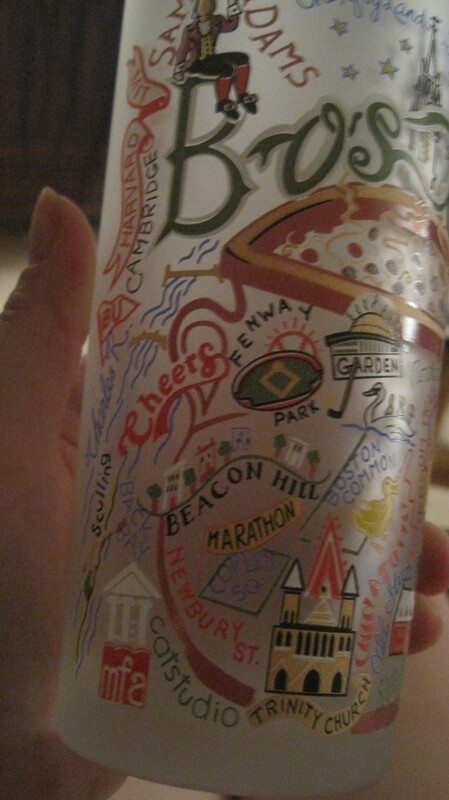 Look at the top, you can see the North Shore! 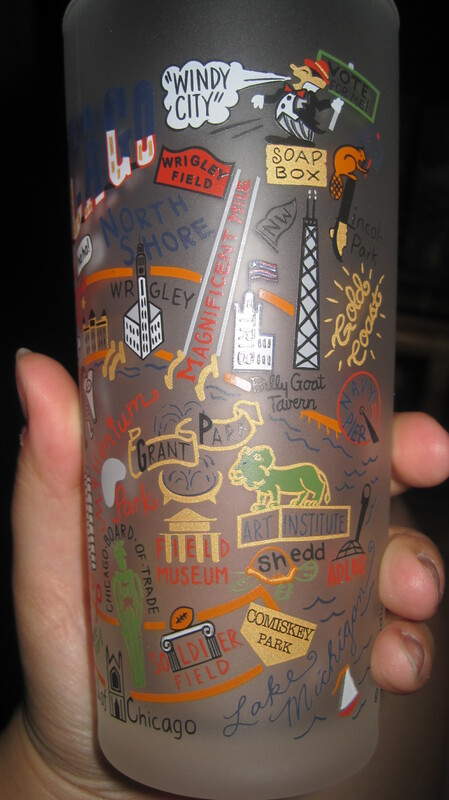 Also, Lake Michigan, Second City, Millennium Park, and the Loop! 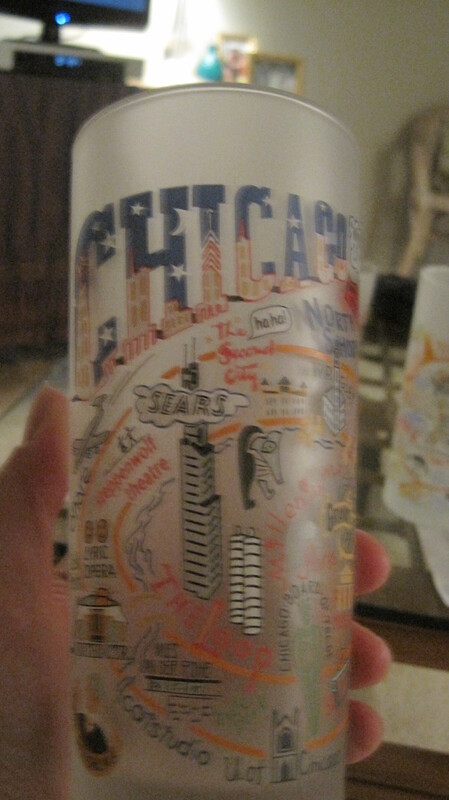 In the top you can see the real reason its called the “windy city”. Great! 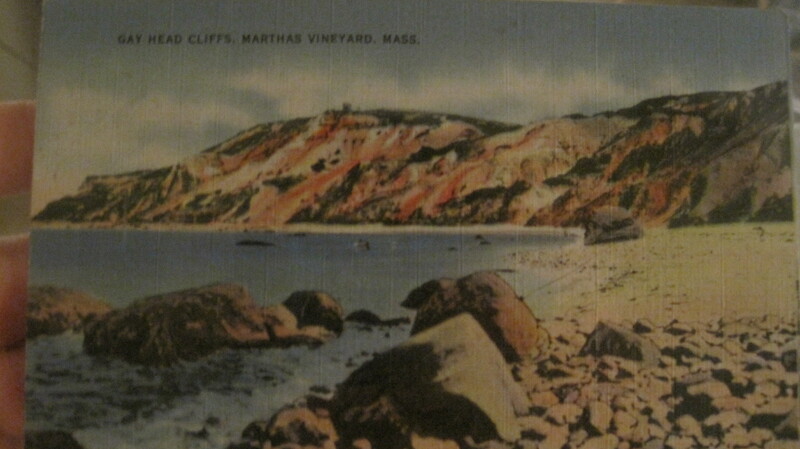 Here is Martha’s Vineyard. 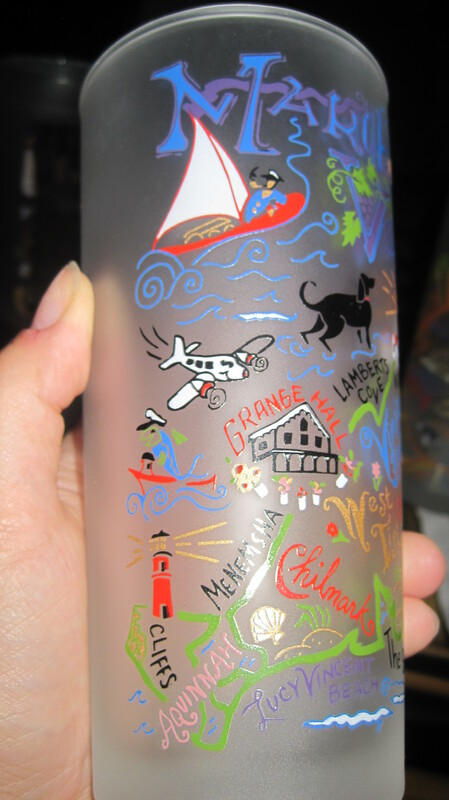 Note the Black Dog, Oak Bluffs, Edgartown, the cliffs etc. And last of all, my new city, Los Angeles! Malibu, UCLA, Beverly Hills and Bell Air! You know, my ‘hood! Great, right? Not only does it match my apartment colors (!) 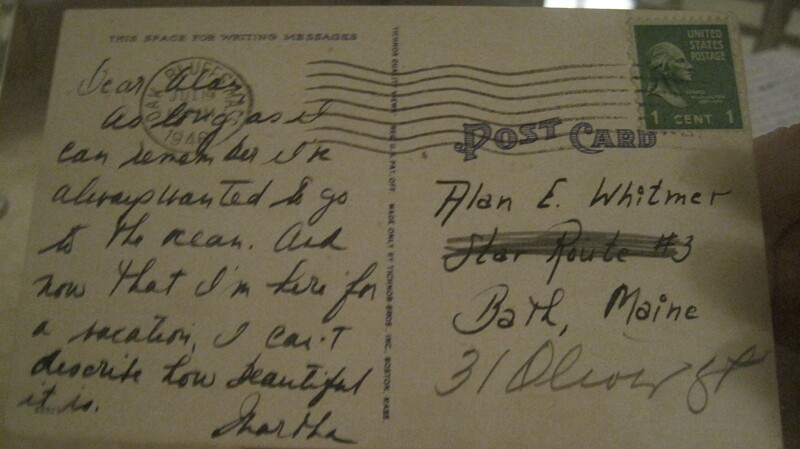 but it has such a great message. 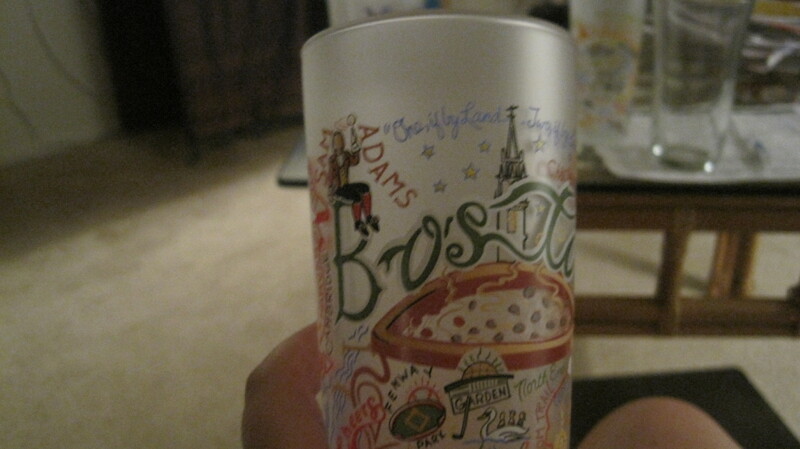 My mom cleverly put it in a see through frame. 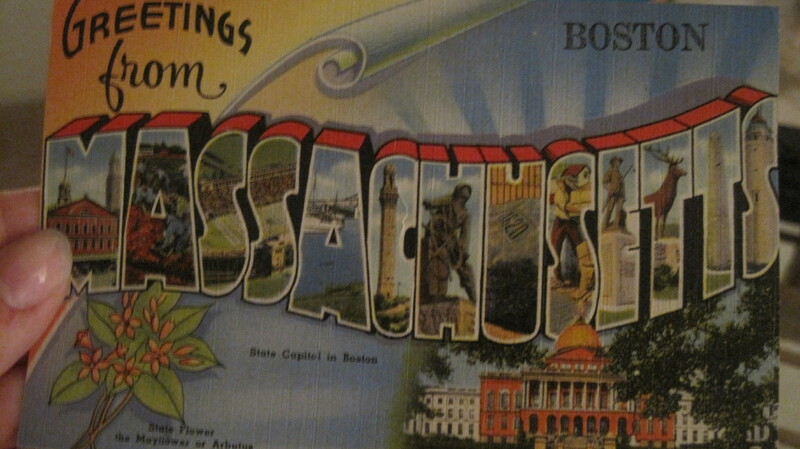 While I cannot take credit for the decoration of my apartment (those snaps go to the talented Danny Mailley) I really like these little touches and I have a plan formulating to incorporate the post cards so stay tuned. 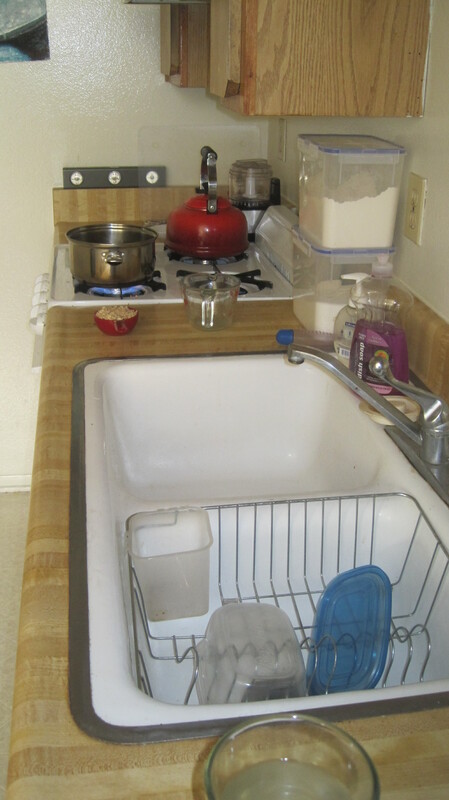 And Izzy was so happy in the clean apartment. 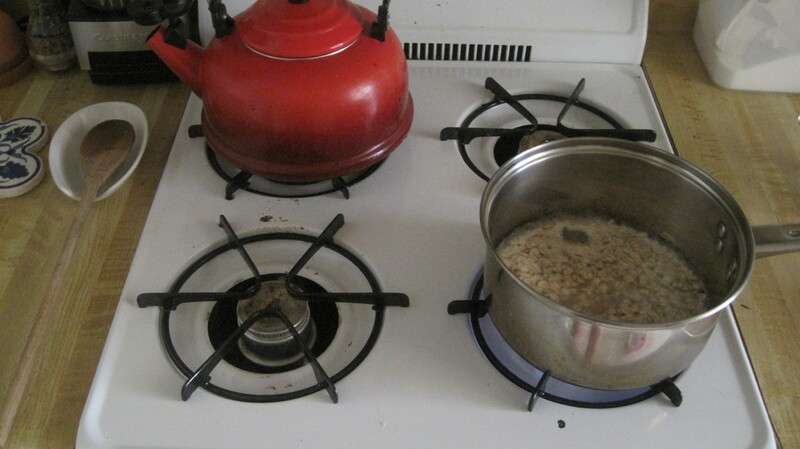 I made oatmeal for breakfast today before meeting up with Mom for Starbucks and shopping at the UCLA Thrift Store, OSH, Abbot Kinney in Venice, and Montana Ave. in Santa Monica. 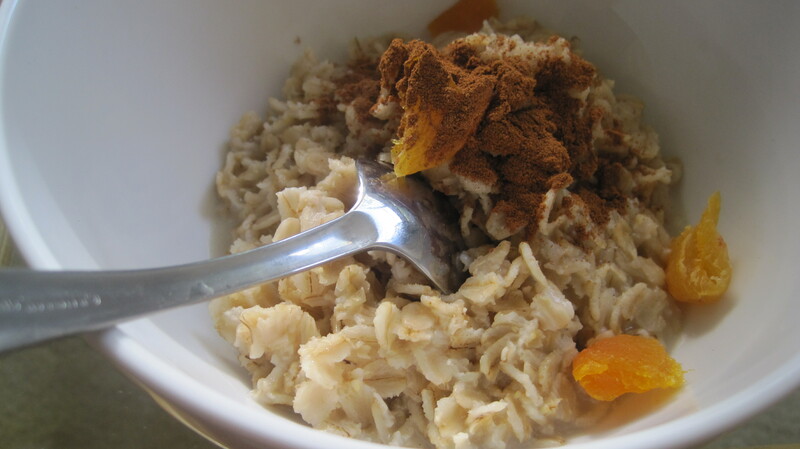 In my oatmeal I had dried apricots, dried cranberries, and Saigon Cinnamon. So delish and hearty! 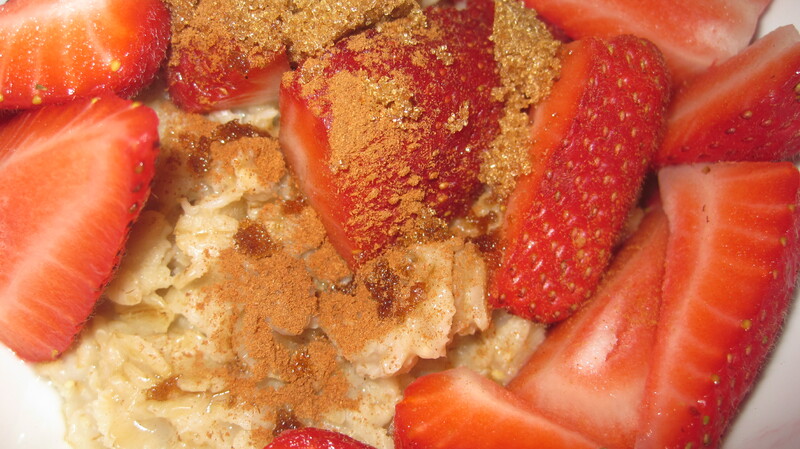 Can’t go wrong with oatmeal for breakfast! Just downloaded the wordpress iPhone app. 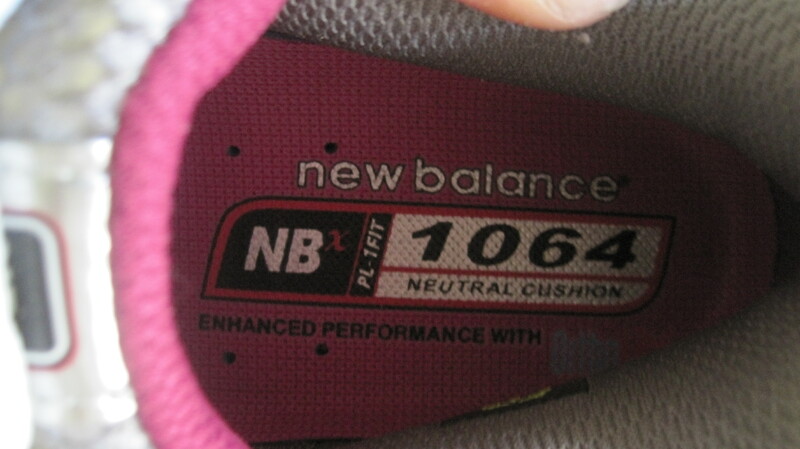 This is a test to see if this works. Now I can update my blog from anywhere! Yay! 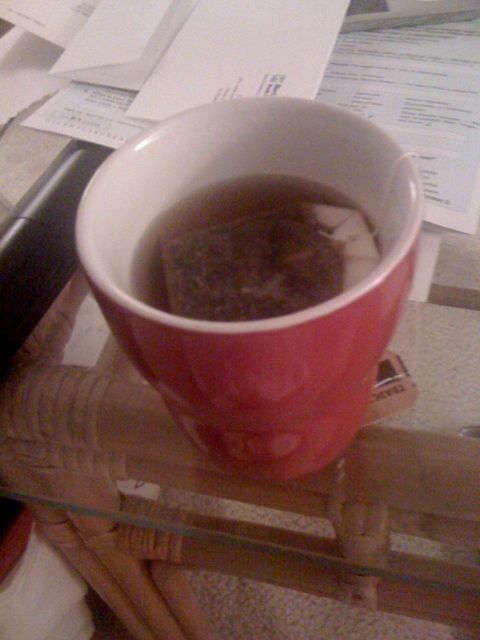 Here should be a pic of the tea I’m having tonight, trader joes sleepy time tea.